There is a popular theory that individuals who are trying to stop smoking tend to drink more alcohol, as a way of compensating. Newer studies however, suggest that this is not strictly true, and that adults who have attempted to quit smoking consume less alcohol than those individuals who have not. In the United States, smoking is still the leading cause of preventable death. 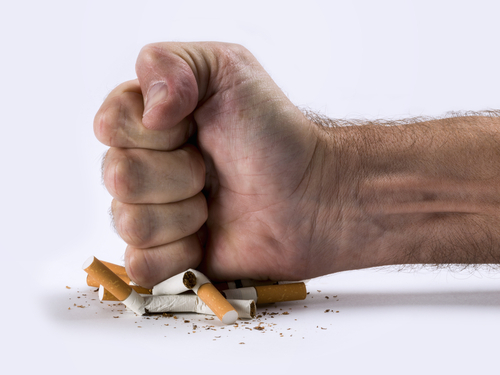 40 million Americans smoke, and 70% of them have reported wanting the quit the habit. Reducing alcohol intake or abstaining from drinking could help individuals quit smoking. One indulgence can lead to another. The more an individual drinks, the more likely they are to also smoke. This is not just the case with habitual smokers. According to researchers, social smokers are also likely to have cigarette cravings after a few drinks. Why is that? Simply put, both alcohol and nicotine are addictive substances and stimulate the part of the brain that acts on rewards. Therefore, taking one is like priming the pump and makes the individual crave the other. A study conducted by researchers from the University of Wisconsin and William S. Middleton Memorial Veterans Hospital looked at data gathered from 1,301 adults, to measure the impact that ceasing smoking has on short term alcohol consumption. The study tested a wide demographic group, including people with alcoholism, women, and people of different racial backgrounds. Each participant received medication based smoking cessation treatment, and researchers assessed alcohol intake levels for 2 weeks prior to quitting and 2 weeks after. The conclusion reached was that those individuals who were affected by alcoholism experienced a significant drop in their alcohol intake when they stopped smoking. However, it was also noted that that those individuals who drink copious amounts of alcohol before quitting smoking may still continue drinking even after successfully giving up cigarettes. This means that continuing to drink might jeopardize the individual’s chances of remaining cigarette free in the long term. The link between alcohol and tobacco has important implications for those in the alcohol treatment field. Many individuals addicted to alcohol also smoke, putting them at high risk for tobacco-related complications including multiple cancers, lung disease, and heart disease. In fact, statistics suggest that more individuals with an alcohol addiction die of tobacco-related illness than die of alcohol-related problems Also, questions remain as to the best way to treat these co-occurring addiction. Effective treatment hinges on a better understanding of how these substances—and their addictions—interact. Hired Power is a dynamic group of recovery professionals that provide an empowering range of services for all levels of transition. Contact us to find out how we can support your journey to recovery and a healthy lifestyle.